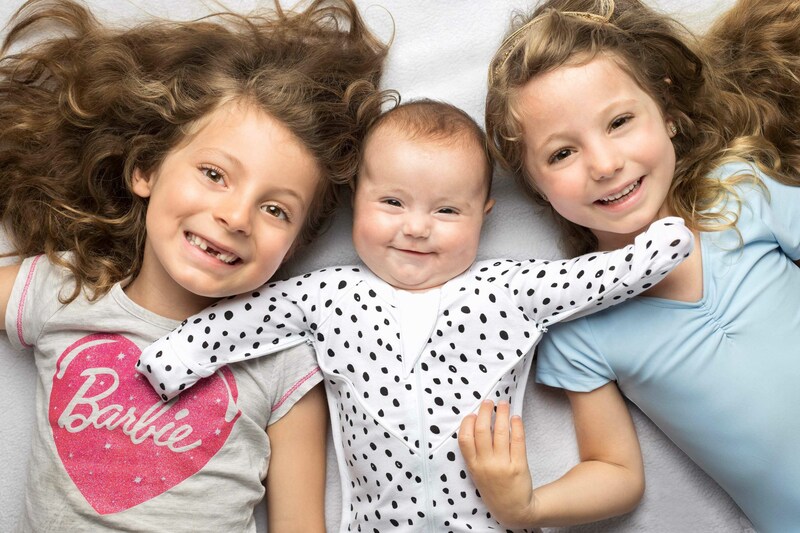 SLEEPY BUB has transformed traditional swaddles for babies by using the latest innovation of zip-down arms. Ancient cultures used a similar arms down swaddling technique for centuries. Now, Sleepy Bub has reintroduced this ancient method, combining the arms down swaddle with a fun contemporary design – making it simple and easy for anyone looking for swaddles for babies. Hi, I’m Eileen Calodoukas a Sydney based entrepreneur, mother of three and the creator of Sleepy Bub. I came up with the innovative approach to traditional baby swaddling while struggling to settle my own babies to sleep (and stay asleep). No matter how well my husband and I wrapped our babies, the little ones kept breaking out and waking up throughout the night and during nap times. Finally, I took it upon myself to design a sleep suit to resolve my dilemma. Goodbye messy blankets and Houdini arms. The zip-down arms innovation proved to be a success for mothers looking for easy, effective swaddles for babies. sleeping babies equal sleeping mothers. I trust our innovative arms down baby swaddles will help bring restful sleep to you and your family.